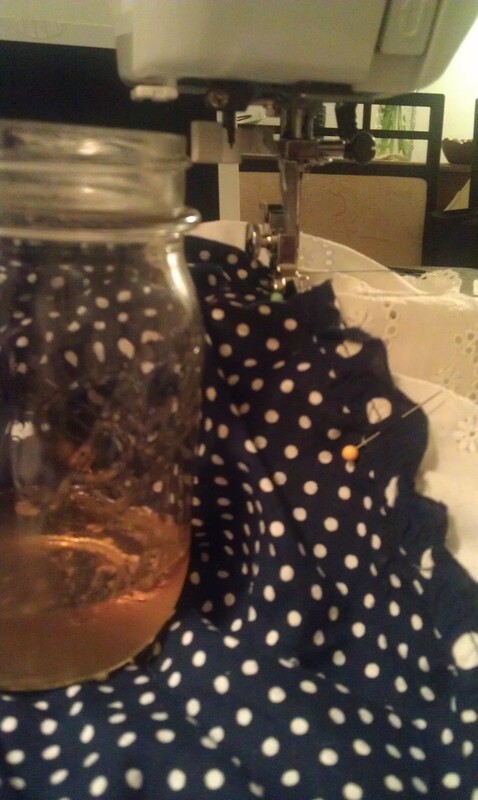 Yesterday I bought $3 worth of gingham trim at the local Wal-mart, poured a drink and set to work. I got inspired by some vintage collars that Kate showed me the other day and I used some of the gingham to finagle one for the dress. I used a dark blue permanent marker to color some cloth buttons that I had, I washed and dried them then I did something weird. I coated them in Sally Hansen Hard As Nails, to seal the color. So it wouldn’t rub on the white collar, strictly experimental. 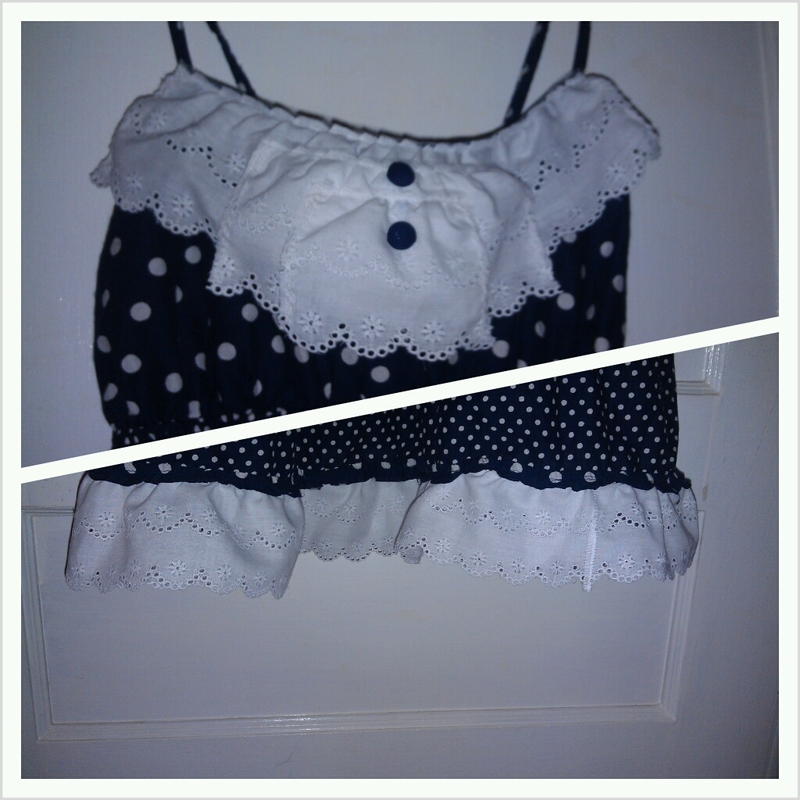 I cut the bottom tier off the dress and then sewed the gingham around the bottom. I came out with this. 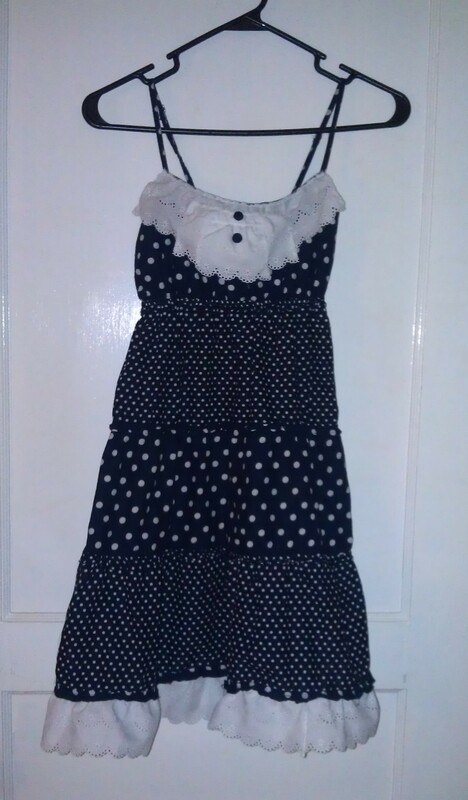 Pretty sweet for an $11 dress.